Using the discrete models, we described and analyzed several types of nonlinear transport and optical properties of disordered materials. As our analyses indicate, the interplay of nonlinearity and the disordered morphology of a material gives rise to a rich set of phenomena that are absent in linear transport processes in the same material. 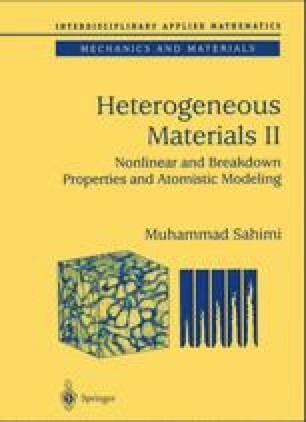 In particular, strong heterogeneity, such as percolation-type disorder, enhances the nonlinear response of a material, and shrinks the range of the parameter space in which the material behaves linearly, and hence opens up the possibility of developing composite materials with highly unusual and useful properties.